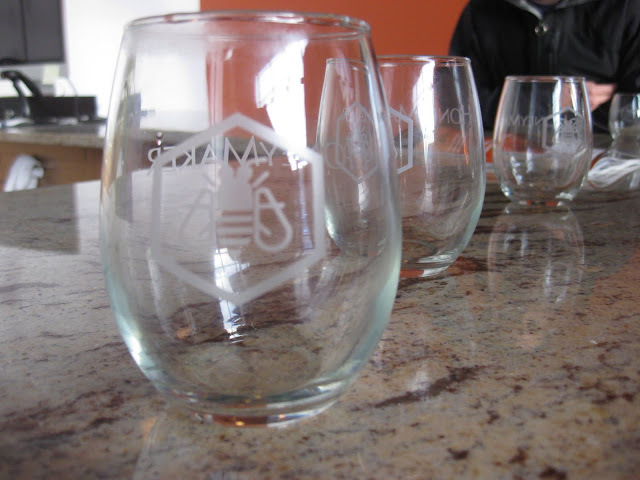 I'm just gonna title the post that way, so you have no doubts as to what I think of our local meadery. And maybe you've heard of and love Maine Mead Works too, since their popularity is on the rise. Maybe you've sampled their product at a Greendrinks or eyed up a bottle at the Portland Public Market's Maine Beer & Beverage Co. 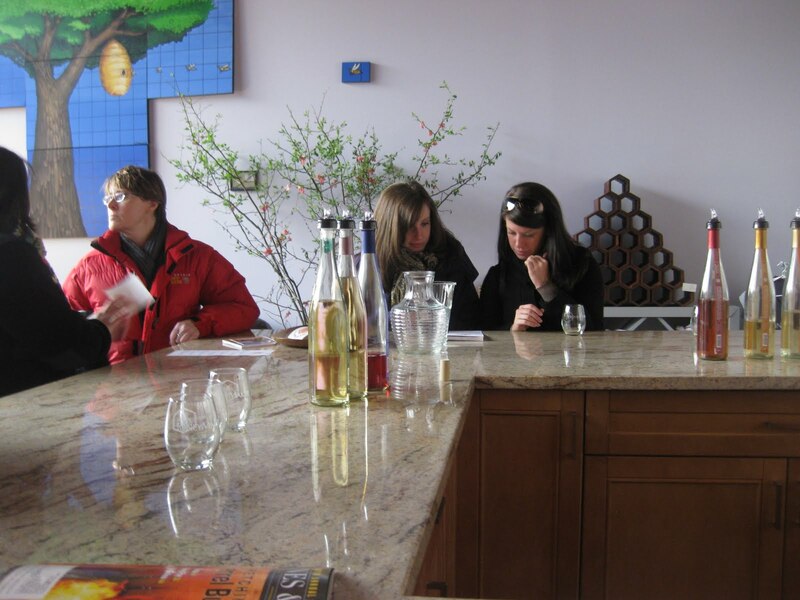 But have you ever toured their production facility or sipped their mead while chatting with the staff? If not, get thee to Washington Avenue. 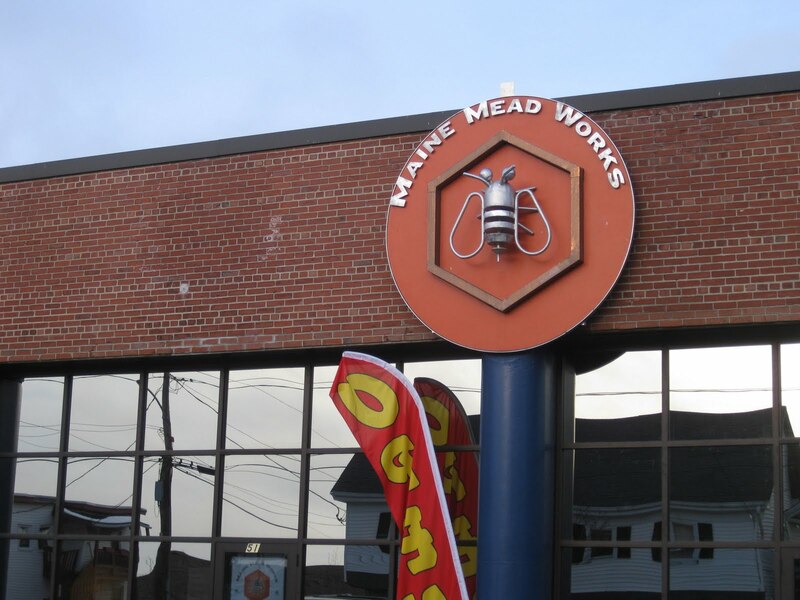 Located at 51 Washington Ave. in Portland, Maine Mead Works' new facility houses all aspects of their production, from brewing to aging, bottling and shipping. There's also a retail store and a tasting room (my favorite part). For those of you who think you don't like mead but are willing to have your minds changed, head on down to the meadery on a Saturday between 12 and 5pm. There, you can sample the line of Maine Mead Works' mead, from the Semi-sweet to the Dry Hopped, from the Lavender to the Special Reserve (if you're lucky). 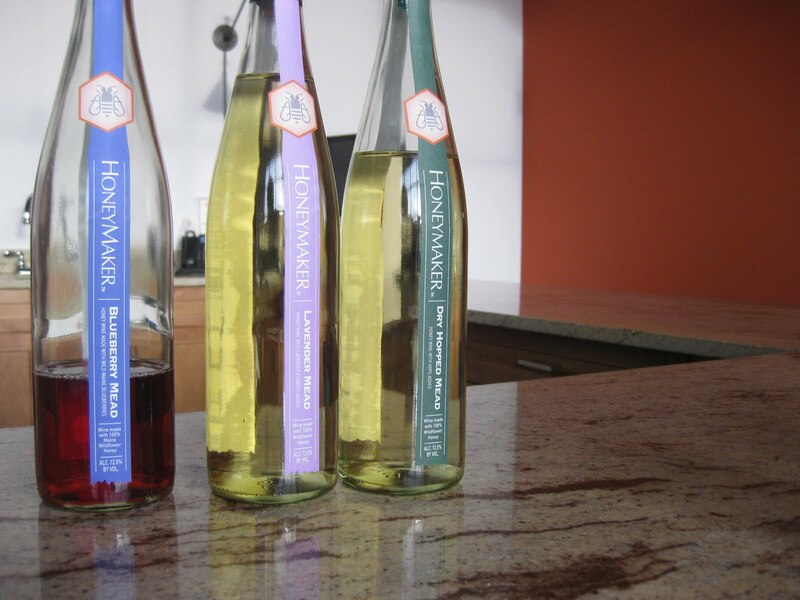 Their honey wine is a lot lighter, thinner, and more delicate than the thick, syrupy, dessert mead that you may have had. My favorite variety is the Dry Hopped Mead, where they add Cascade hops (the ones used in Sierra Nevada Pale Ale) to the sweet mead, giving it a distinct herby flavor. Their mead is great on its own, but would pair well with lighter dishes and seafood. It makes great gifts, as it is uniquely Maine, made with all local honey, fruit and herbs. And the staff are about the friendliest people you could hope to meet, happy to answer any of your questions about the fermenting process and their patent pending custom equipment. Maine Mead Works is a great place to spend a while, as their new space is very posh and inviting, whether you are entertaining out-of-town guests or just want another reason to be proud of the great vendors we have here in Portland. I gave their wine as presents to a lot of friends and family this holiday season. I'm such a fan -- their elderberry is such a lovely wine, medicinal, too! I CONCUR. i heart the maine mead like whoa. I LOVE Maine Mead Works!!! My favorite is also the dry hopped mead, but I think it's almost becoming a tie with the lavender. I will have to go check them out on Washington Ave!